This Expert Interview is with Chartered Occupational Psychologist, executive coach, talent management expert and Integrity Coaching Associate, Barbara McCleery. 1) What is Talent Management? Talent Management is an organisation’s ability to recruit, retain and produce the most talented employees in the job market. Essentially, its about an organisation getting the most from its people. Each one of us has been created with a number of talents or gifts and have the potential to perform more complex tasks or activities. Talent management focuses on an employee’s potential; meaning an employee’s future performance. Finding good and talented people in some cases may not be a difficult thing, but making sure they want to stay working for the same organisation is a challenge. If someone is exceptionally good at what they do and has potential to progress in the organisation, businesses will want them to stay. However, if the career ambitions and development needs of such talented individuals are not met, then it is likely that they will look for better opportunities outside the organisation. The most effective organisations will link their talent strategy to the goals and aspirations of the organisation. In other words, the organisation will make key people decisions based on what sort of people it needs to be successful going forward. I first became interested in this topic when I assumed a role in talent management for a global bank over 15 years ago. I was responsible for guiding the business in best managing their talented leaders. It was an incredible rewarding job and I particularly enjoyed working closely with many of the bank’s senior talented executives; helping them realise their career and development goals. 2. How can Schools ensure they keep their most talented staff? I think the first step is about understanding the personal career aspirations of each member of staff. Not all individuals want to progress; many are comfortable operating at the same level in the organisation. If this is the case, then it’s about helping the individual be the best they can be in that particular job. For others, career advancement is a priority and therefore it is key to help plan that person’s ongoing development – identifying the sorts of experiences they need going forward to help prepare them for one day assuming that larger role. 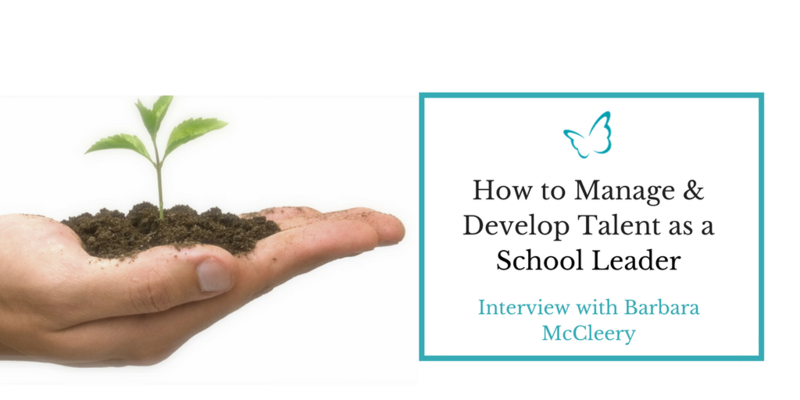 School leaders who are passionate about employee development will prioritise development conversations with staff and actively engineer learning opportunities for those individuals. 3. What do you think are the key qualities that School Leaders need to successfully manage talent? Authors Robert Goffey and Gareth Jones in their book “Why Should anyone by Led by You?’ present data revealing the four qualities of great leaders. I believe inspirational leaders share all four qualities that the authors highlight and tend to mix and match the four qualities in order to find the right style for that particular situation…. 1) They reveal their weaknesses selectively – becoming more approachable to employees. By revealing weakness, leaders can demonstrate a certain humility to others. It can also establish trust and help get folks on board. Indeed, if leaders try to convey that they are perfect at everything then there is no need for anyone to help with anything. Simply put, they won’t need followers. They’ll signal that they can do it all themselves. Beyond creating trust and a collaborative atmosphere, communicating a weakness also builds solidarity between followers and the leader. 2) They rely on intuition to gauge the appropriate timing and course of their actions -inspirational leaders are those whom rely on their sensory skills and are skilled at picking up on unexpressed feelings and non-verbal cues in the environment. Sensory skills that shape actions are very powerful. 3) They manage employees with “tough empathy” – giving people what they need, not what they want. I believe effective leaders who provide others with what they need rather than what they want (not always the same). The authors refer to this quality as tough empathy. At its best, tough empathy balances respect for the individual and for the task at hand. 4) They capitalise on their differences – using what’s unique about themselves to create a social distance and to signal separateness, which in turn motivates employees to perform better. How can School Leaders develop these qualities in themselves? Goffey and Jones also mention in the same book “To be a true leader, be yourself–more–with skill.” All four qualities highlighted in the book are necessary for inspirational leadership but they cannot and should not be used mechanically. The most important advice therefore to that of a leader is be yourself – be authentic. That said, there is no advice more difficult to follow than that. This is certainly true given my experience with school leaders. Given the many pressures and expectations placed on school leaders in today’s school environment, they are increasingly finding it difficult to be themselves and demonstrate a style of leadership that resonates with their core values and beliefs. Through coaching, leaders can be helped to re-connect with who they are and learn how to bring their uniqueness into the workplace in a way that is true to themselves. 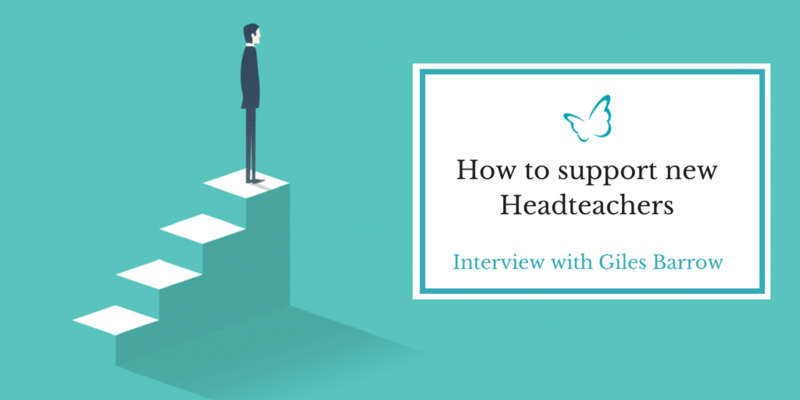 In his expert interview, transactional analysis expert and coach, Giles Barrow explains why he believes that new Headteachers could benefit from “eldership”, a form of support often overlooked in education circles but one which he says could help to mitigate the challenges of the role. Loved your article. Useful information thanks for sharing.